NEW YORK, NY, Apr 10, 2019 - (ACN Newswire) - via NEWMEDIAWIRE -- Tauriga Sciences, Inc. (OTCQB: TAUG) ("Tauriga" or the "Company"), a revenue generating Company that operates through the development, distribution, and licensing of proprietary products as well as the evaluation of potential acquisition opportunities and equity investments, today announced that it is developing a special miniaturized Airport version of its CBD Infused chewing gum (branded as: Tauri-Gum(TM)). The Company recently announced an increase in its Research & Development ("R & D") budget, aimed at continually enhancing its Tauri-Gum(TM) product line. 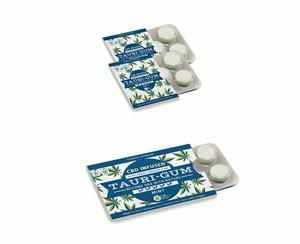 Tauriga envisions this Airport version consisting of a miniaturized blister pack, containing three pieces of its CBD Infused gum (anticipated retail price of $6.99 per unit). The Company is in the process of miniaturizing the graphic design and label wording, to correlate with this newest proposed product version. Tauriga's CEO, Mr. Seth M. Shaw, expressed, "The Company believes that an Airport version of Tauri-Gum(TM) has the potential to unlock a major future business opportunity. Chewing gums, of all type, sell extremely well at airports and this plays into one of the Company's strengths. Tauriga formulated Tauri-Gum(TM) in a manner that is fully compliant with the prevailing U.S. Federal laws and regulations that govern this sector. Therefore, the Company feels confident that it can proceed with this above-mentioned corporate initiative and legally sell its product(s) at U.S. based airports."